Staff from Ayrshire Golf Scotland founding member SimpsInns, raised an enormous total in their Children in Need fundraising efforts. 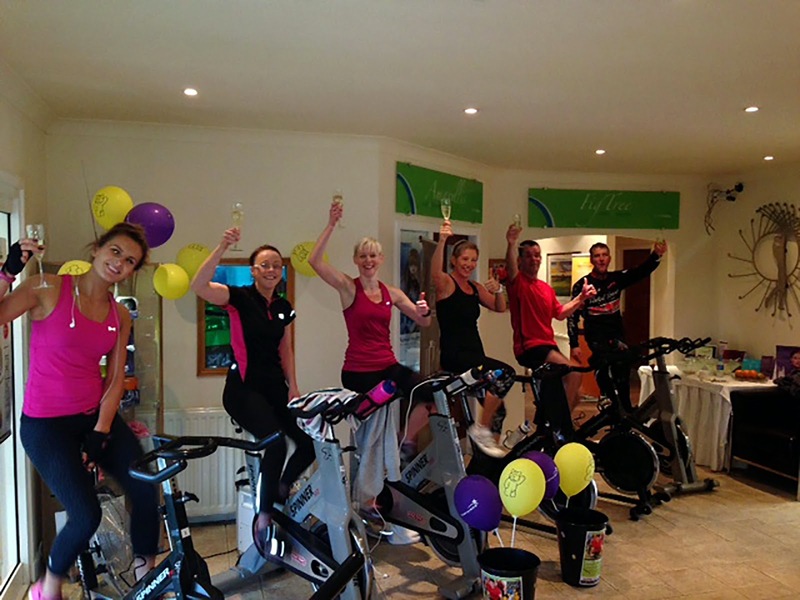 And what an effort it turned out to be from the team at Gailes Golf:Leisure who, along with great support from the members, raised a staggering £3,500 for Children in Need from their gruelling 24-hour Spinathon last Saturday. There wasn’t blood, there was most definitely sweat and as far as we can tell there were no tears. Instead there was a fantastic team effort as everyone pulled together to raise a great amount for such a worthy cause. The fundraising began with the dedicated Just Giving page which raised £390. On the day Children in Need buckets were on display at the Gailes Golf:Leisure reception beside the spin bikes and passers-by gave so generously to raise a further £1,350. “I’m absolutely delighted with the total raised, I can’t believe how generous people have been,” said Sandra Hay, one of the Gailes Golf:Leisure instructors, who along with her colleagues and members clocked up many hours and miles on the bike. Simpsinns own and operate a number of quality hotels and restaurant operations across Ayrshire and are founding members of Ayrshire Golf Scotland. The hotels provide superb service for the visiting golfer and are owners of their own nine hole course and driving range at The Gailes Hotel in Irvine which is situated in the heart of Dundonald Links, Gailes Links and Western Gailes.